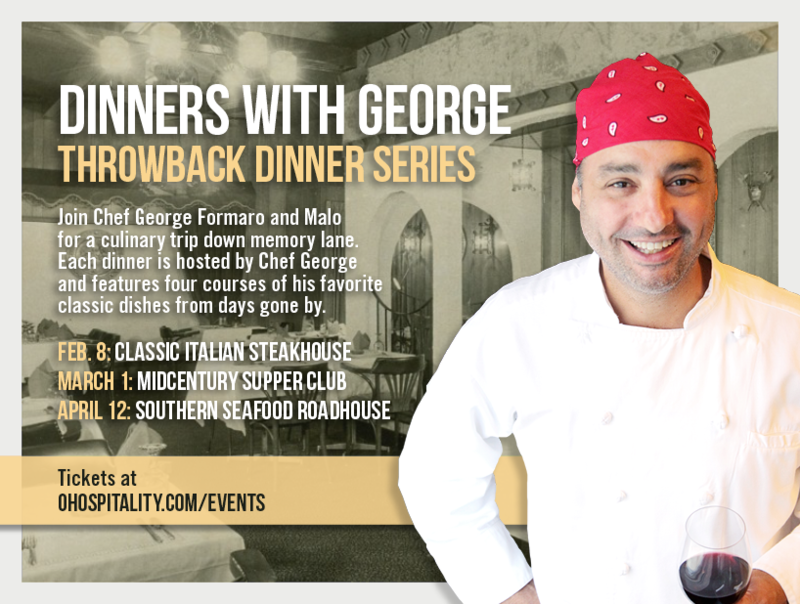 Join Chef George Formaro and Malo for a culinary trip down memory lane. 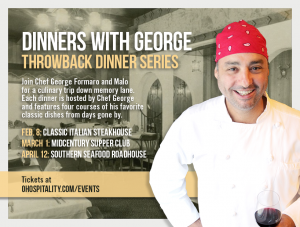 "Dinners with George: Classic Italian Steakhouse" is hosted by Chef George and features four courses of his favorite classic dishes from days gone by. Dinner begins at 6:30pm in Malo's private dining room and includes one welcome cocktail; a cash bar is available featuring themed cocktails, beer and wine.